Sleep Well and Relax Retreat with Melissa O’Shea PhD – Holistic Sleep Consultant and founder of The Sleep Easy Club. Are you feeling tired, stressed or anxious? Would you like to sleep more deeply, fall asleep faster or stay asleep until morning? This 1 day Retreat includes an introductory workshop on improving sleep and reducing stress, movement practices to support sleep (Qi Gong, Yoga, Pilates and Myofascial release), a sleep relaxation session, and development of a personalised self-care routine for better sleep. A healthy lunch and afternoon tea will be provided. Please bring – Yoga Mat, Meditation shawl or light blanket, pillow, water bottle, massage ball or tennis ball, comfortable clothing for stretching and relaxing, journal or writing paper and pen. COST: Tickets are $100 available on Eventbrite or from Desert Blue Connect, 25 Chapman Road, Geraldton. If you have a health care card or pension card, a discounted ticket price of $80 is available. Please contact Desert Blue Connect’s reception to obtain reduced fee ticket (not available on Eventbrite). Holistic Sleep Consultant Melissa O’Shea, PhD is the founder of The Sleep Easy Club, an online sleep training program for adults with insomnia. Melissa is an authorised teacher of The Sounder Sleep System™, the only modality created specifically to combat insomnia. She is also a yoga teacher and life coach who over the last decade has guided over 10,000 people in the art of stress management and relaxation. 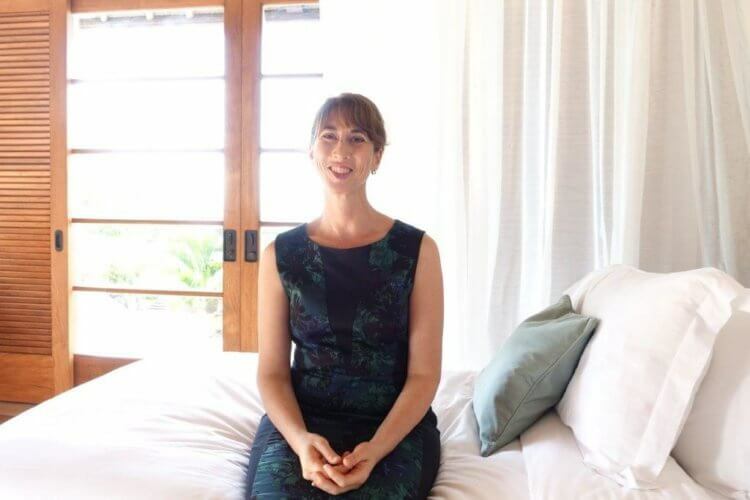 Having experienced her own journey through insomnia and stress-related illness, she is passionate about helping her clients learn to relax and sleep well in order to get the best out of their health and their lives.